Mindanao: The land of promise? MINDANAO is known as the land of promise because of its rich biodiversity and natural resources. The land holds an incredible wealth from nature, but also has dark moments of truth. As observed, every traveller who wants to explore Mindanao would ask about safety. And Mindanao cannot hide the truth from them. Wrangling, religious overtones, clan wars, kidnapping, piracy, political dynasties, resentments, corruption, poverty, regular clashes, and killings are some of the worst scenes in Mindanao. Along with this is the case of hunger. According to a survey done by Social Weather Stations, Mindanao has the highest incidence of 23 percent. Cited in Laura Thompson’s blog, there are roughly 18 million people in Mindanao. The majority of the population is non-indigenous, but the population also includes 3.6 million indigenous peoples (of 18 tribes) and 1.4 million Moro peoples (of 13 tribes). They live in a land that is rich with agriculture (banana, pineapple, cacao, coffee and rubber), sea products, minerals (copper and gold) and energy products (natural gas and oil). Yet, 60% percent of the entire population lives below the poverty line and nearly a third of the population battle with hunger on a daily basis. Large mining companies and corporations such as Del Monte and Dole consume the “Land of Promise” and leave in their place a country battling pollution, workers rights and displacement. 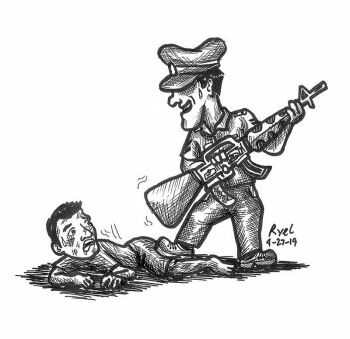 Added to the problem is that of the role of the Philippine government, which promotes the growth of foreign interests while stifling the cries of its own oppressed peoples. Willy Brandt, a former German Chancellor and one of the architects of “realpolitik” in Europe, once said "While hunger rules, peace cannot prevail." Cited in an article written by Jenina Joy Chavez, Mary Ann Manahan and Joseph Purugganan, Mindanao is the poorest island. 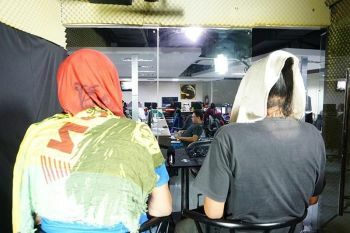 Four of the five poorest regions and six of the poorest provinces in the Philippines are in Mindanao, including all four provinces in the Autonomous Region in Muslim Mindanao where more than half of households live in poverty. Mindanao’s problem can be rooted from many reasons. One of this is the long-term marginalization of Mindanao from the national development policy. There is no complete guidance made by the national government to Mindanao’s agriculture since access to land is difficult. Insurgency also is another reason why poverty and violence dominated the region. Aside from hunger and poverty, violence and threat exist in some parts of the island. The political government in Mindanao is often suspected to have been engaged in extra judicial violence and summary killings. In late 2009, over 50 people were mass executed in the province of Maguindanao. Over 30 of them were journalists. It was been politically motivated with fingers pointing to a powerful clan. Many of the victims were buried in mass graves that survivors said appeared to have been dug before the assault. What is most controversial was that local police officers also appeared to be present during the murders. Another tragic incident happened in Mindanao is the Mamasapano clash last January 25, 2015 wherein a high number of police officers were killed. The clash has been dubbed as the biggest loss of government elite force in history. It was noted that the mission was intended to capture or kill the most wanted Malaysian terrorist; however, the police officers are the ones who were killed in their operation. In addition, there are still parts in Mindanao where religion and their land ownership are still the basis of their conflict. An old friend also noted that she can’t imagine life inside the evacuation center where she can hear the sounds of guns and clamor of the people because of fear and to sleep with an empty stomach at night. It is true that there are some places in Mindanao that experience prosperity in life, but most of the areas here suffer. This is the kind of life created by the conflicts in Mindanao. Well, Mindanao hasn’t fully experienced progress for it is still the land of wars and conflict in the Philippines. Undeniably, it is considered as the land of promise. Promise in a sense that it has a lot of natural resources that can be used to make the economy of the Philippines richer. A land that has a face full of paradoxes, it really has bountiful resources, yet there are still hunger and poverty. Mindanao’s sense is peaceful, yet most of the people engage in conflict. Isel Jhian is a student of Ateneo de Davao University.